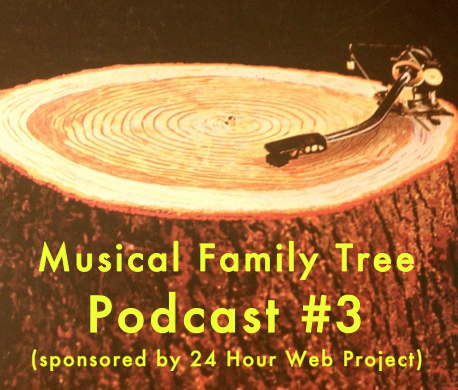 At Musical Family Tree, we didn't just provide tunes and live performances for this year's 24 Hour Web Project, we also decided to challenge ourselves to record, edit, and mix a live podcast from the event! MFT Podcast hosts Jon Rogers and Ben Jones made their third episode a special live edition featuring tons of great Indiana music and interviews, including a chat with 24 Hour Web Project's Lydia Whitehead. She gave us some great info about ICAN, and we are thrilled that we got to be part of the event. Stream or download the podcast in convenient chunks at Musical Family Tree, or in one long piece at Soundcloud. Also be sure to check out our episodes from August and July!